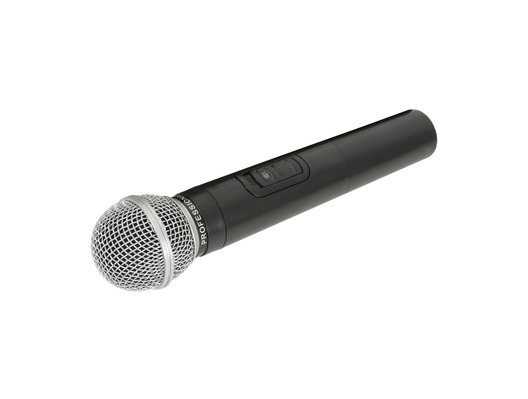 This QTX Handheld Microphone is a wireless microphone for the QTX portable PA speaker series including the QRPA and QXPA range. The QRPA range includes the QR12PA and the QR15PA, whiile the QXPA series includes the QX12PA and QX15PA speakers. If you own any of these portable speakers this QTX Handheld Microphone has been designed to work with them in case you need an extra or replacement microphone when performing.